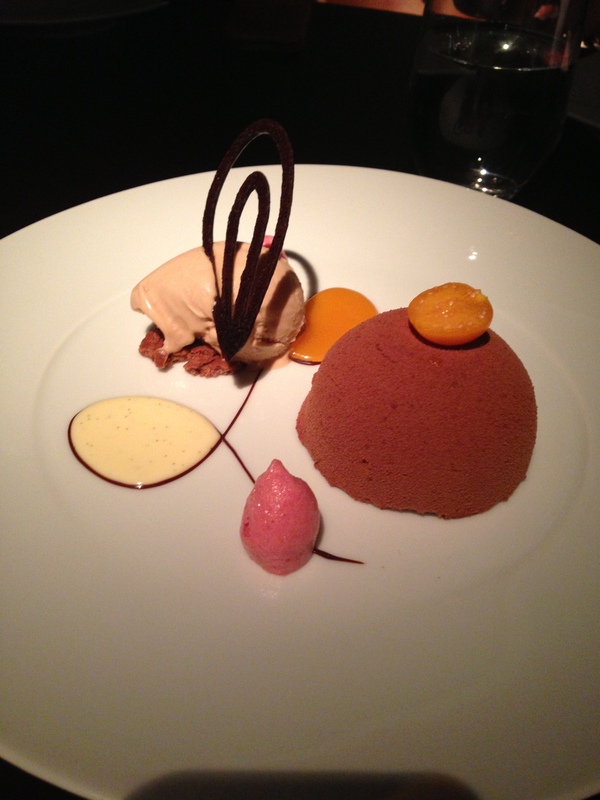 Chotto Matte is the sort of restaurant where you’re asked by your waitress, “have you been to Chotto Matte before? No? Would you like me to explain the concept?” I must admit I find this ever so slightly pretentious. It’s 7.30pm on a Tuesday night, I had lunch 7 hours ago and I’m quite peckish, surely the concept is just pick something you like the look of, hopefully enjoy your food and your dinner company, and be on your way. 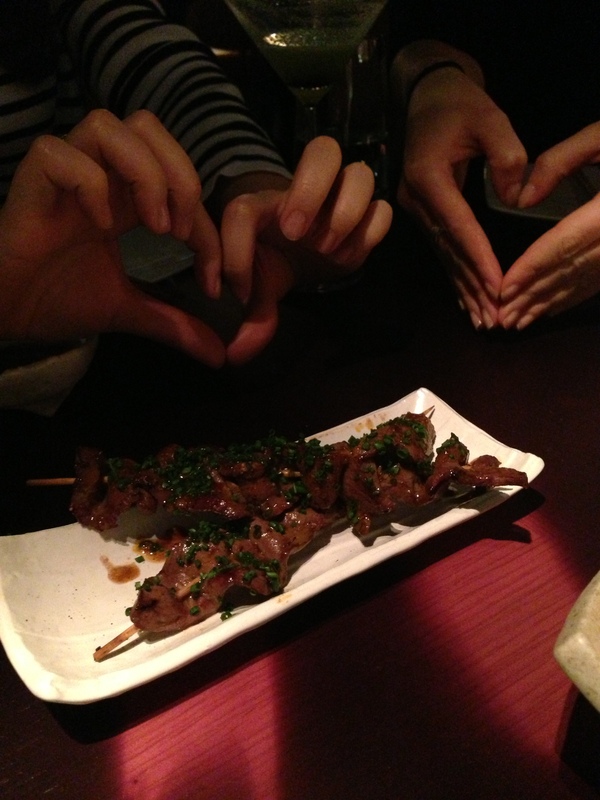 Nevertheless, there is a concept at Chotto Matte, a sharing concept. Don’t get me wrong readers, I’m always up for sharing so you get to try more than one dish, but is it really necessary to call it a concept.. It is located on a buzzy street in Soho and is equally buzzy inside, which is unsurprising given it only opened two weeks ago. The decor is very slick, with lots of mirrors, quirky lighting, dark walls and with upbeat chillout music playing in the background. The crowd is trendy and glamorous. The food is Peruvian/Japanese and the menu is very extensive (3 A4 sides to be precise). 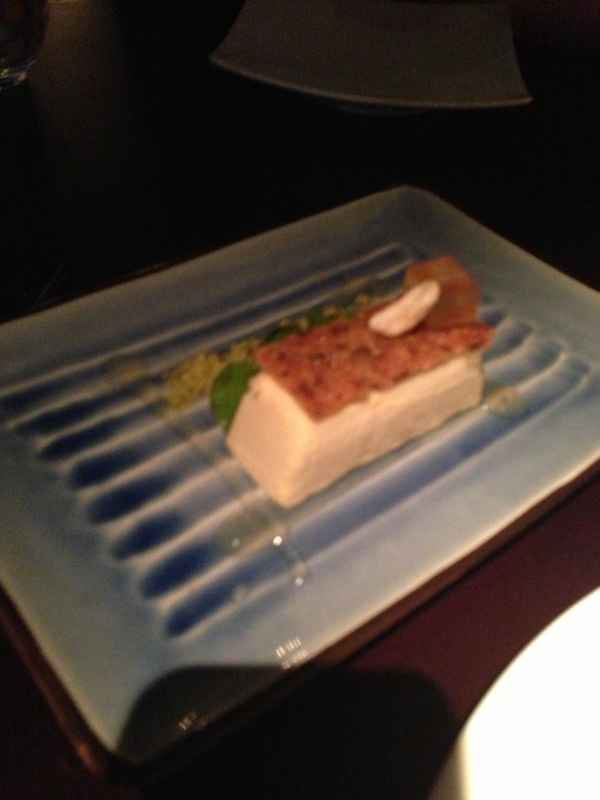 It is broken up into sections for cold and hot appetizers, sushi, specialities, etc. but I still found the choice quite overwhelming and felt very reliant upon our waitress to help us put together a wise selection. At this point the service was very attentive so we asked lots of questions and changed our minds a few times, but eventually ordered 15 dishes to share between 6 of us, based on selecting a few dishes from each section of the menu. To drink I ordered a yokatta martini which was delicious but I can’t for the life of me remember what was in it. 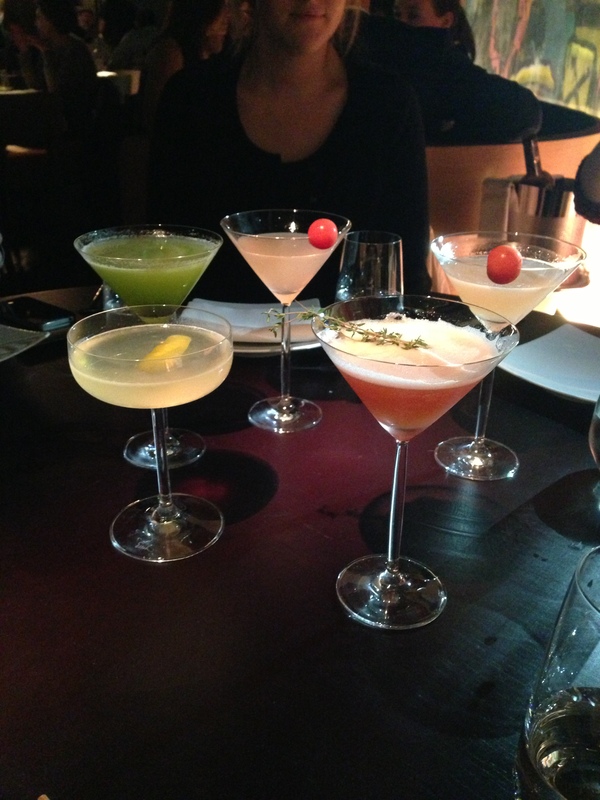 I tried my friends’ drinks (including a moshi moshi madre) and all were wonderful. The cocktail list is also plentiful. Items arrived as they were ready so inevitably everyone (including me) says “ooh” and “ahh” every time something new arrives. 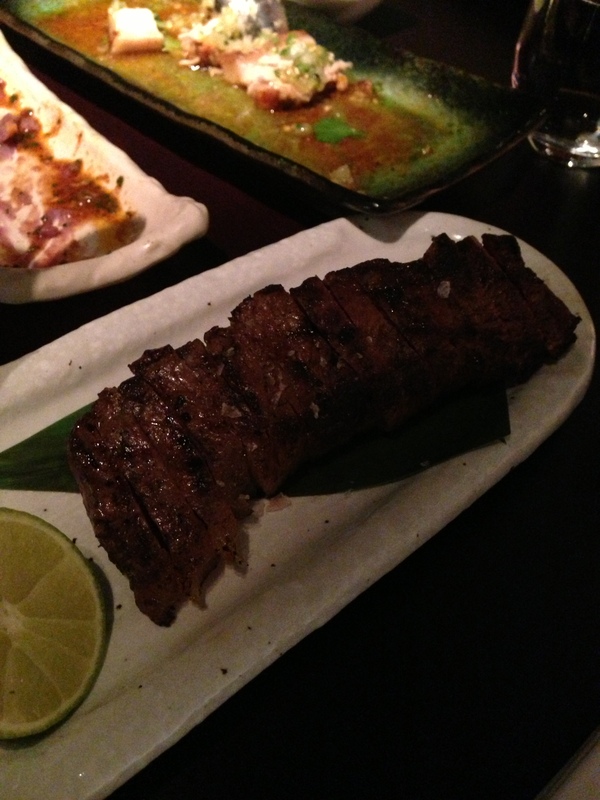 We shared seabass ceviche, miso chicken, black cod, a spicy chicken dish, spicy vegetables, lomo tataki (thin seared beef), beef heart, corn fritters, vegetable tempura, lomo fino (incredible fillet steak), a few gyoza dishes and some sushi. 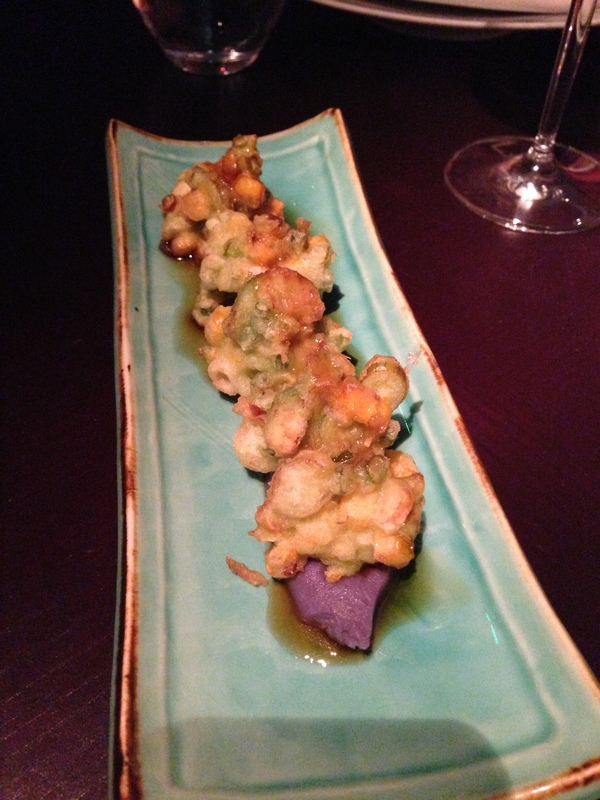 Dishes were presented in a unique way, most notably the corn fritters arrived on a bed of purple crushed potato. 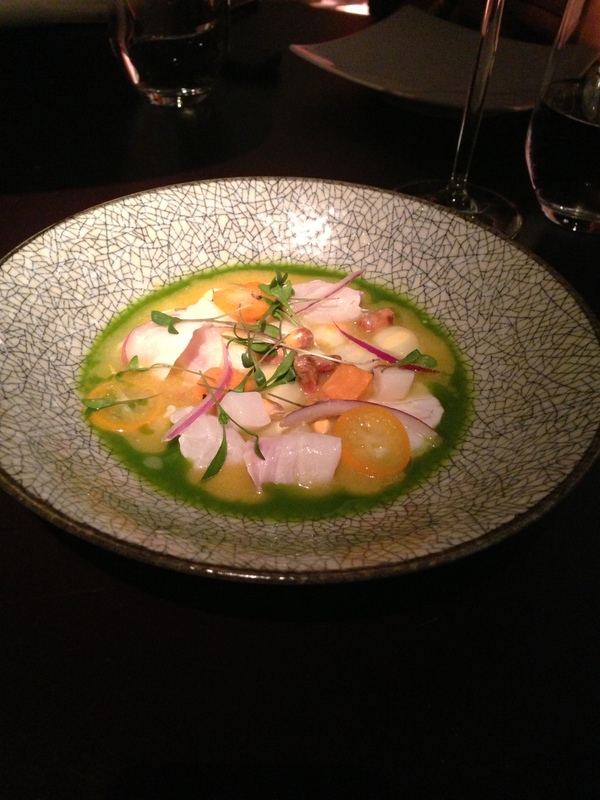 The seabass ceviche was great, very lemony, and both chicken dishes were excellent; they were extremely flavoursome and were accompanied by tasty sauces. 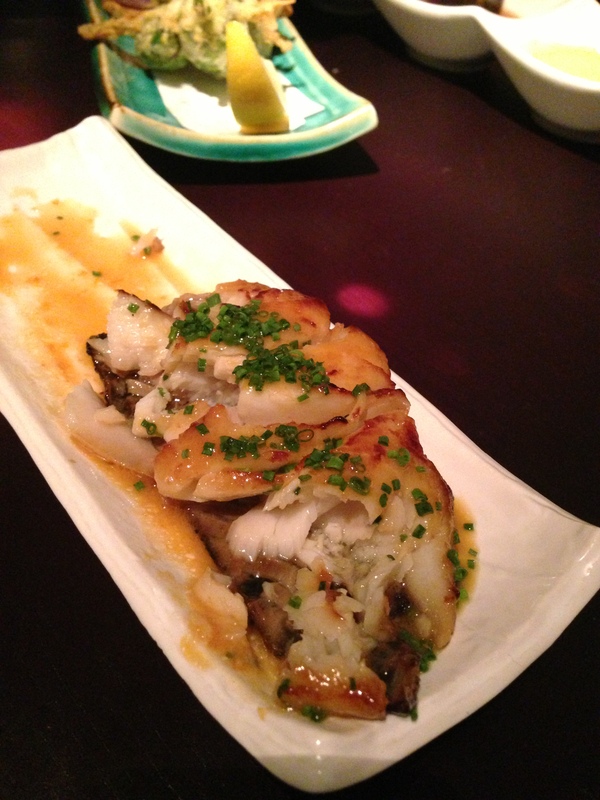 The black cod was very good as was the beef heart, which was ordered out of curiosity. 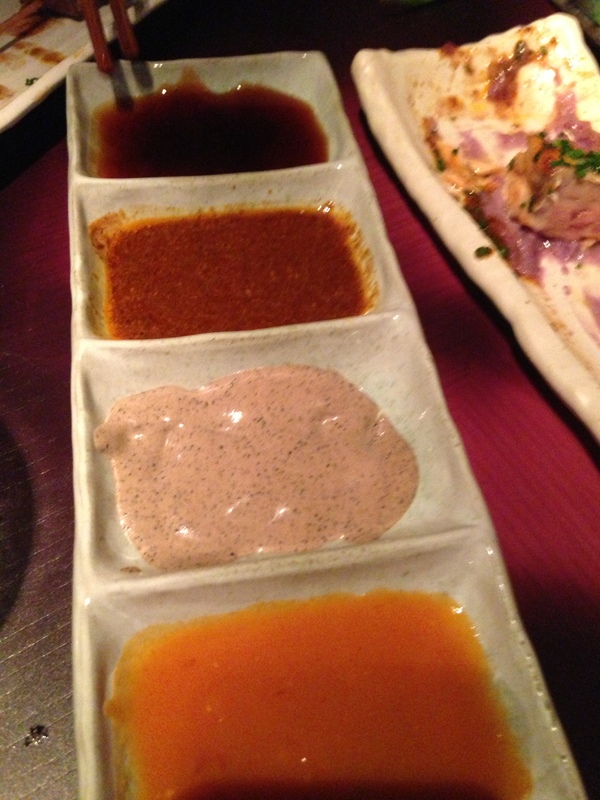 The lomo fino was superb, not to mention the array of wonderful sauces that it came with; one was made from sharon fruit, one truffles, one yuzu and one was a teryaki type sauce. 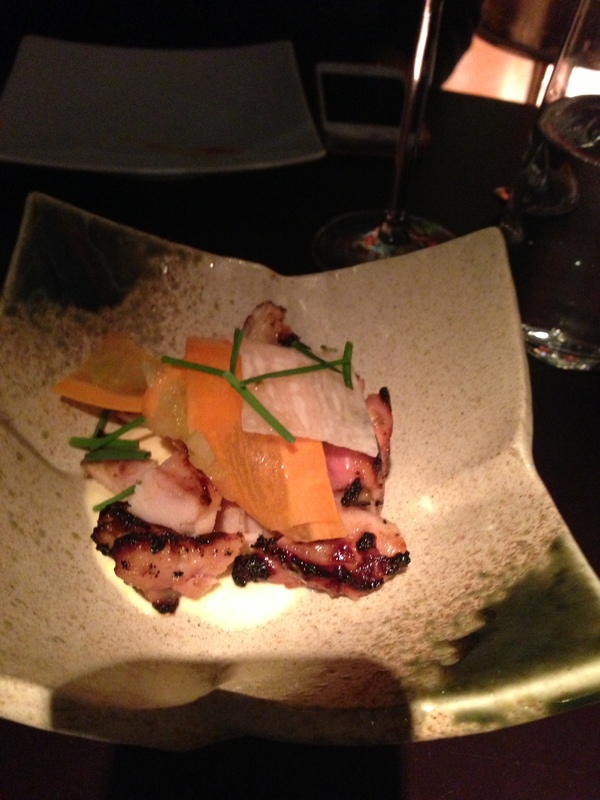 My overriding thought on the food was that nothing was boring and everything had a strong flavour. By this point things were starting to dwindle service-wise. One or two things we had ordered never turned up and the sushi we received was not what was ordered. They also neglected to bring soy sauce and the essential little bowls to mix soy sauce and wasabi, and only brought them after the third time we asked. Oddly enough, they were unusually keen on replacing dirty plates and napkins with clean ones. We felt they perhaps could have better directed this energy. 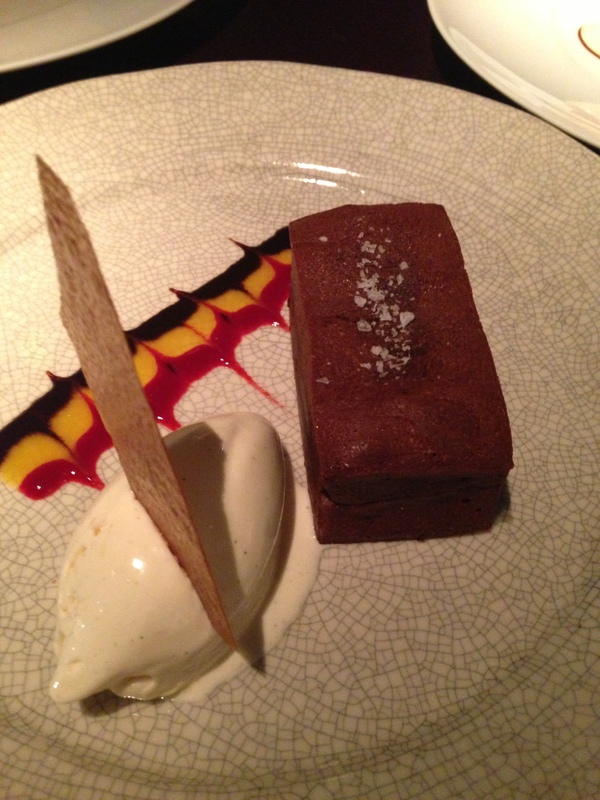 Despite the service, we were keen to investigate dessert. We shared a peanut parfait, salted, caramel chocolate fondant, praline chocolate mousse and passion fruit brulee, all of which were presented impeccably. 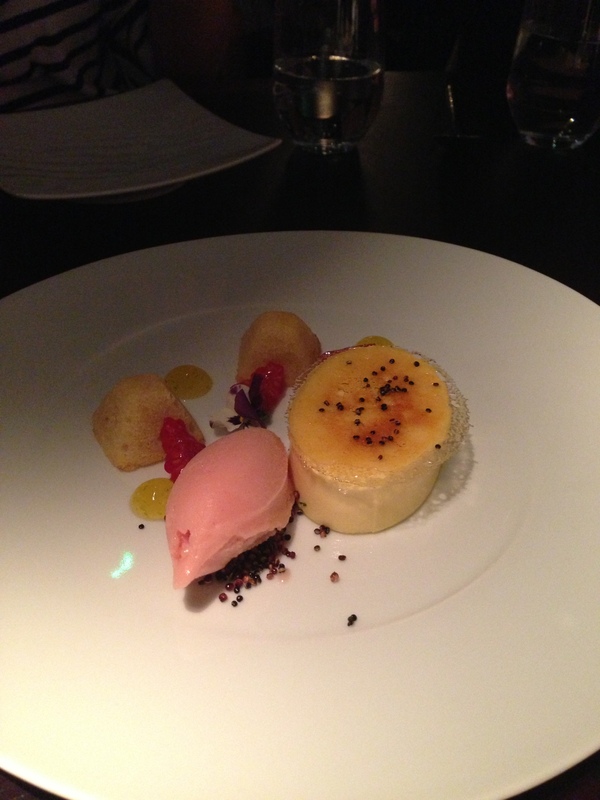 I especially loved the passion fruit brulee and chocolate fondant, but all were of a very high standard. 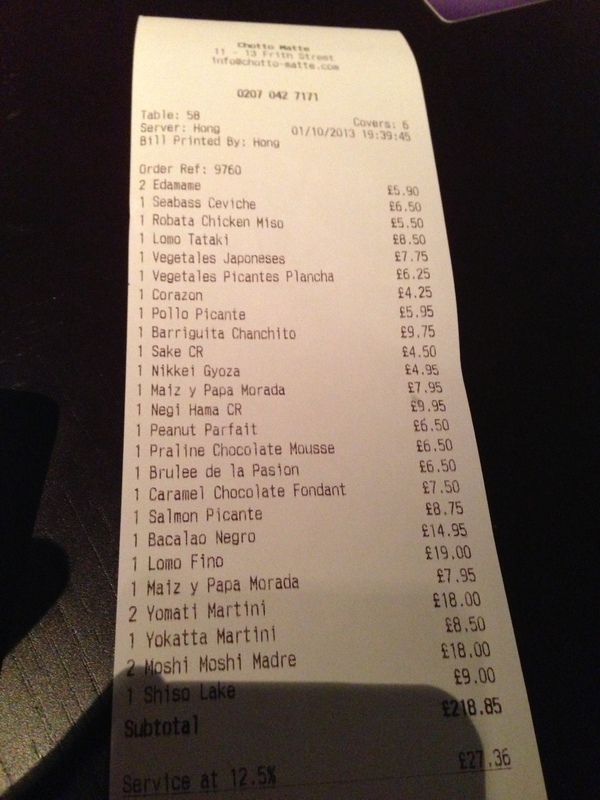 The bill came to a whopping £41 each, which, for a Tuesday night and only one drink, is a tad on the extravagant side. Given that Chotto Matte only opened two weeks ago, I’m going to give the service the benefit of the doubt and hope that it improves in the coming weeks. That combined with very tasty food and excellent cocktails suggests Chotto Matte is worth checking out.